For most households in the United States today, debt has become a fact of life. With such truly staggering statistics regarding levels of debt for most Americans, finding a way out of a debt hole may seem increasingly difficult. However, most consumers can find debt relief through a variety of financial tools that have gained in popularity in recent years. 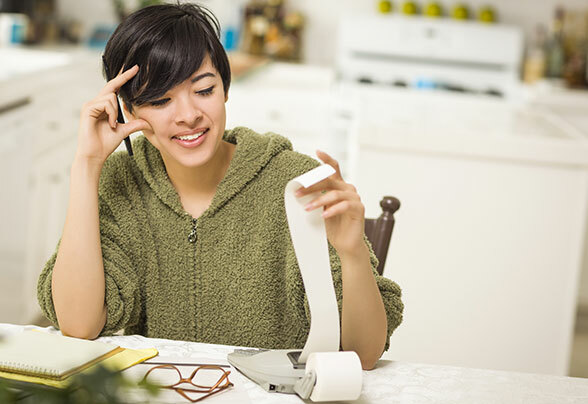 Nevertheless, finding the best debt relief options is not always a one-size-fits-all proposition, and households should always consider their own unique circumstances when determining the right tool to lower outstanding debt. Today, many customers can have problems simply paying down a debt. From rising expenses to monthly bills to unexpected life events, there are a myriad of ways individuals and families can fall behind on their monthly payments. In such situations, families can feel trapped in a spiral of debt that has no end. Even so, customers can find relief in a series of services and strategies. This is considered the most “hands-off” solution to debt relief. 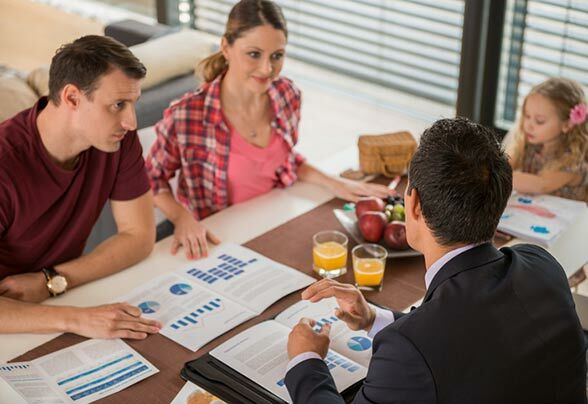 With credit counseling, customers sit with a trained financial professional who will review their personal finances, offer alternatives, and help individuals craft their own repayment and home budget plans. Credit counselors do not actively take part in the repayment process, but they can be an excellent source of empowerment for customers looking to take matters into their own hands. Another major benefit of credit counseling is that in many cases, the initial consultation is totally free and handled by certified professionals. While this option may sound great at the outset, one of the biggest downsides is that credit counselors do not handle the actual task of repayment. Moreover, they also may reveal facts about a borrower’s personal finances that they may not be willing to hear. Finally, these programs require motivation on the part of an indebted consumer, as counselors do not work to pay off debts on customers’ behalf. Consolidation has become one of the most popular options available for debt relief today. The strategy is designed as a straightforward solution to help people with moderate levels of debt retake control of their finances while lowering the amount they pay monthly. Debt consolidation works by taking out a new large debt to cover the total amount of outstanding loans. Instead of multiple loan payments every month, the outstanding debts are ideally consolidated into a single loan with just one monthly payment at a significantly lower interest rate. For many kinds of debt, consolidation is a realistic way to lower payments every month and establish a more feasible timeframe for paying off outstanding borrowings. The main goal with consolidation is to give customers a more organized payment schedule and ensure that they are more likely to succeed in eliminating all their existing debt. Because this service is meant to ease the payment schedule, consolidation is ideal for those customers that have yet to default on loans, but are becoming overwhelmed with the prospect of making several loan repayments every month. Consolidation works best when dealing with similar types of debt, meaning that customers that have racked up substantial credit card debt with different accounts could roll their outstanding payments into a single monthly amount. Debt management programs are an excellent way for customers to take control of their own finances again. With these programs, customers sit with financial professionals and analyze their current finances as well as existing debt. From there, the two parties work together to create a structured budget and debt repayment plan that will help borrowers maintain financial stability while meeting all their obligations. One of the biggest advantages of debt management is that in many cases, customers can negotiate lower fees and interest rates on their existing debt as long as they guarantee they will finish their repayment plan. Moreover, because customers agree to pay back the outstanding amount in full, they can finish their repayment program with strong credit and stabilized finances. Debt management is one of the least harmful solutions for debt relief, but it can take longer than other available strategies as it focuses predominantly on creating better habits while lowering monthly payments. Moreover, customers must see the programs through to the end or risk losing the concessions made by their creditors. Overall, debt management is an excellent solution for customers who prefer to be proactive about their existing debt and are looking to learn financial good habits. For customers that have debts they are unlikely to pay, debt settlement may be an ideal option to enable them to remain solvent without having to resort to more extreme financial maneuvers. With debt settlement, a borrower, or someone working on their behalf, will negotiate directly with their creditors and find an amount that can be realistically paid off. Creditors that accept these proposals then forgive the remainder of the debt. This is a good option for customers who are rapidly being overwhelmed with debt payments, or those whose financial situation has deteriorated quickly due to unforeseen circumstances. Debt settlement should always be considered one of the last alternatives available, as it can have long-lasting effects on future finances. One of the biggest risks with settlement is that creditors are not obligated to agree to any terms, so it is not a surefire solution. Moreover, debt settlements leave a negative mark on credit scores, meaning a harmful item will be visible for up to seven years on most credit reports. As such, settlement is an ideal solution for those customers who are quickly running out of debt relief options but would nonetheless prefer to avoid more extreme solutions such as bankruptcy. Considered the “nuclear option”, bankruptcy is a debt relief solution for those customers who are facing the most extreme scenarios. Bankruptcy is the process of legally declaring that one cannot pay their existing obligations and requesting that outstanding debt be forgiven or a new payment plan be established (based on the type of bankruptcy requested). This step is only advisable for those borrowers who are unable to pay their debts in the short-term, and are certain that they will not be able to do so in the next three to five years. In some cases, a bankruptcy is the only alternative, but it does come attached with several negative features that make it unattractive in most situations. For one, bankruptcies – even those discharged and closed – remain on a customer’s credit report for at least 10 years. This will severely impact their ability to access any new credit, from personal loans to home mortgages. Additionally, certain kinds of debt, such as student loans, are not covered by bankruptcy proceedings. As a result, customers should always do extensive research before getting started with this solution. Finally, bankruptcies can be expensive processes, so customers who are not absolutely out of options should consider other alternatives before moving forward with bankruptcy proceedings. With such a wide variety of choices to help, getting relief from debt has become a problem of the past. However, before getting started with any program, customers should always review at all debt relief companies that will set them up for financial success in the future.